YouTube – Trash Audio Synth Meet 3.
the guy at the M5: don’t forget these sliders are bipolar, turing them all down means negative modulation! seems they love silver & white face plates in the us? 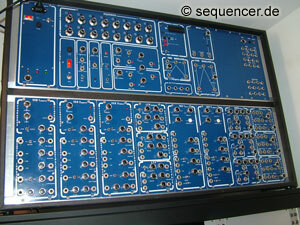 page20 of modular gear pron thread @ forum. Zurück Flash horcht dich aus. Wie man es umgeht. 999 OSCs modular - fm pwm sync ring, 999 LFOs, 999 EGs, 999 FILTERs (2-4pole), analog step sequencer, no arpeggiator more..
Niederlande: Blechen Sie für Einbinden von YouTube-Videos auf deinem Blog?